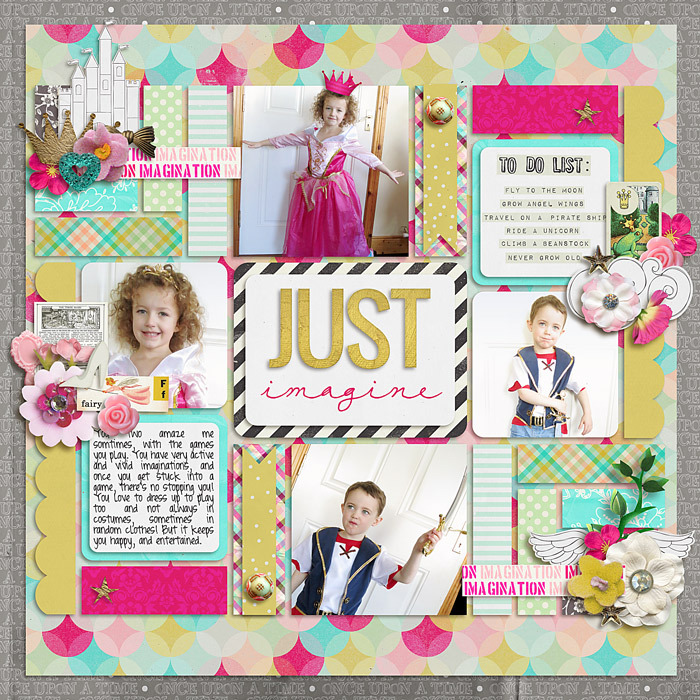 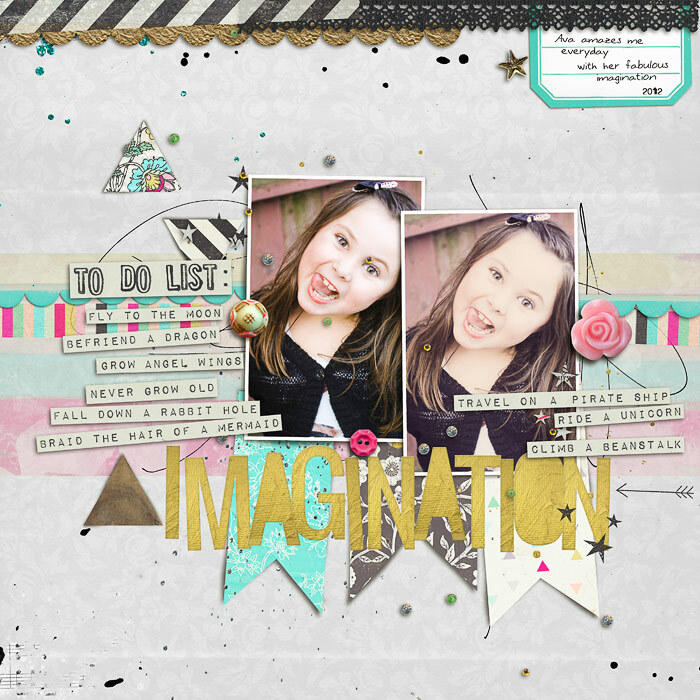 A digital scrapbooking kit by Jenn Barrette and Allison Pennington, Once Upon An Imagination is dedicated to the dreamers, the wishers, and all those too pure and amazing for this world...so they choose to live in their own! 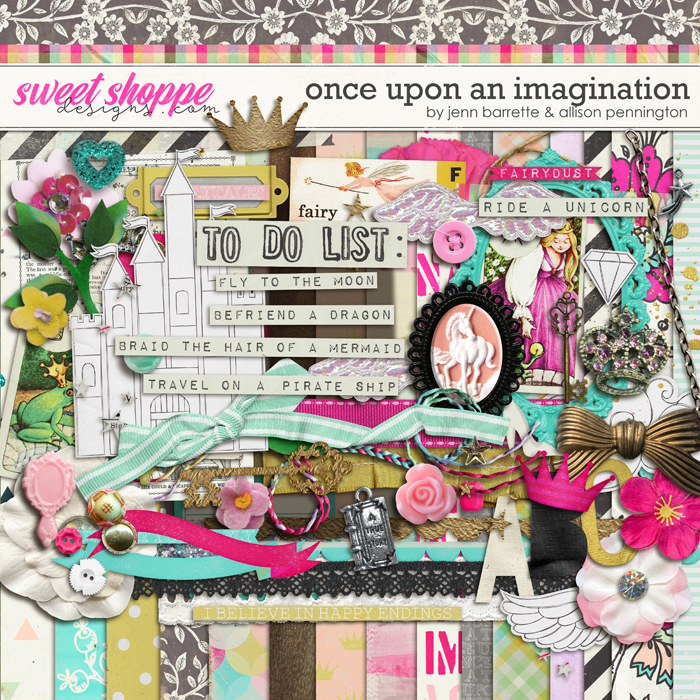 Includes: 21 patterned digital scrapbooking papers, 13 solids & backgrounds in a variety of textures, a digital scrapbooking alphabet in 3 colors, 24 doodles in brush & png format, over 80 digital scrapbooking elements. 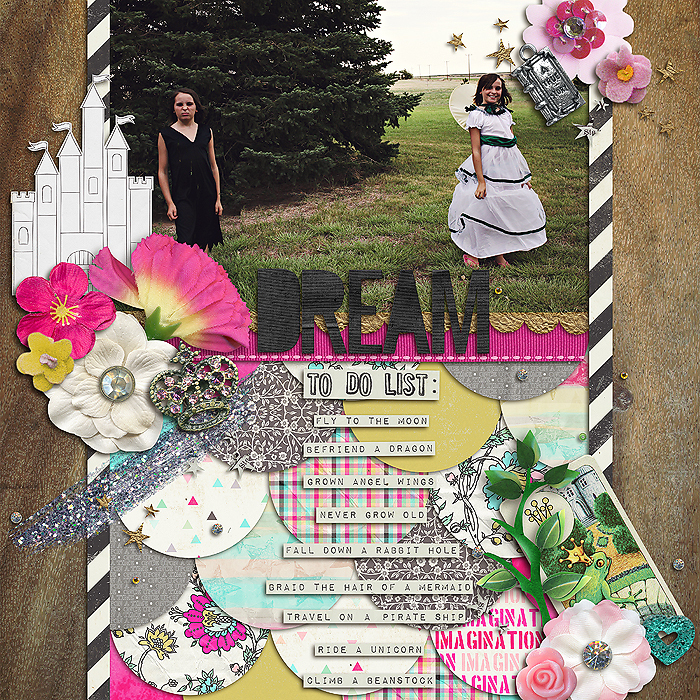 Elements include: ephemera, lace, papered elements, including a castle, foliage, wings, a glass slipper, a collection of charms, a fairy door locket both open & closed (includes a layered file with mask), a variety of flowers, tape, ribbons and bows, string a variety of fasteners, sparkly bits and unique baubles, fairy dust, labels & tags journaling strips, a variety of word art and more!